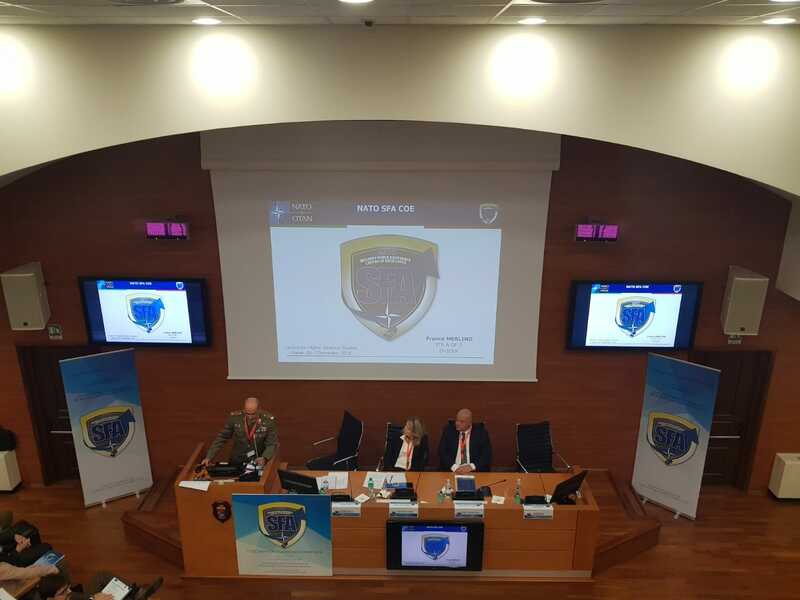 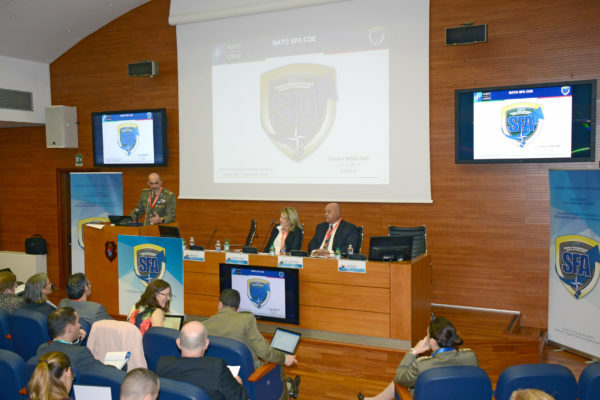 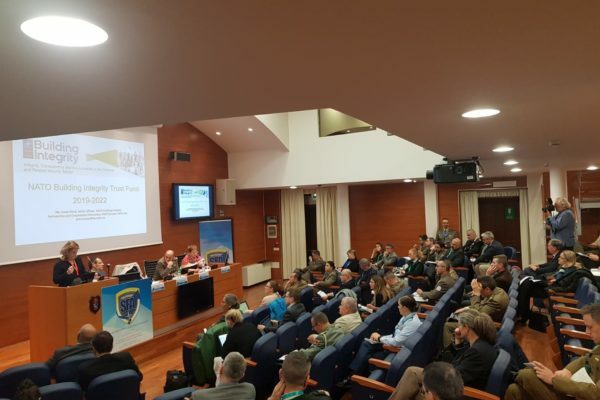 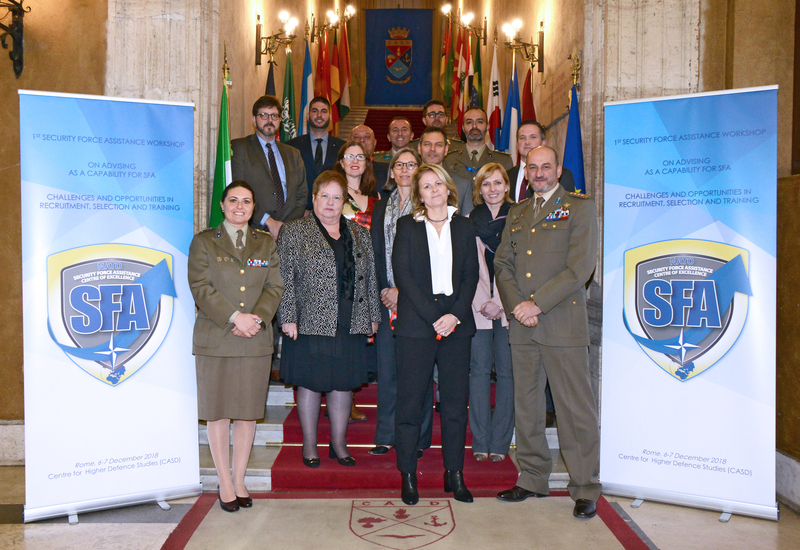 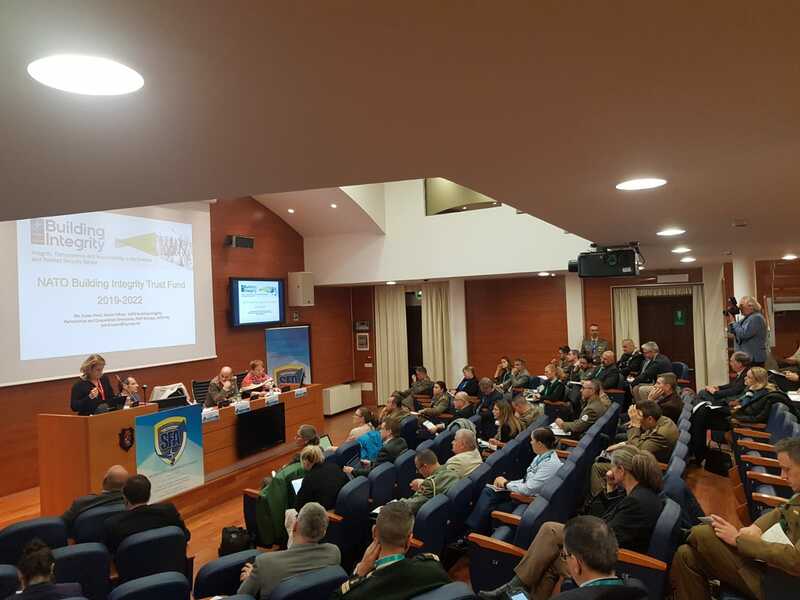 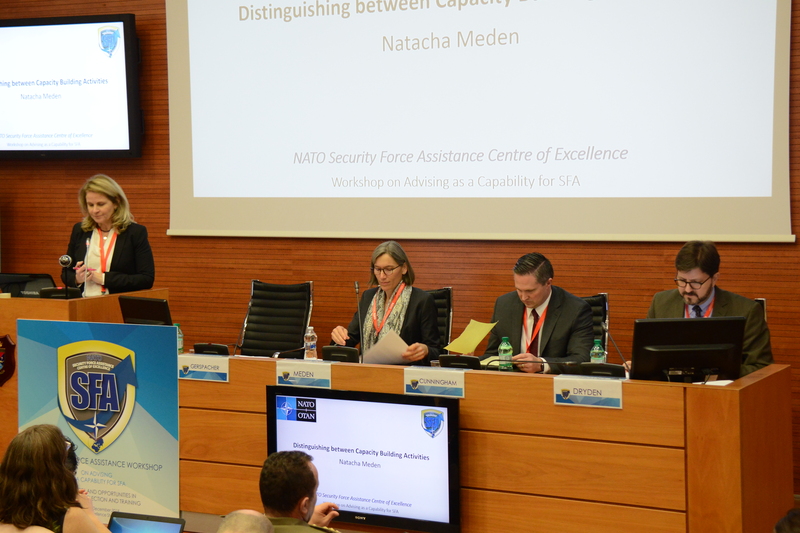 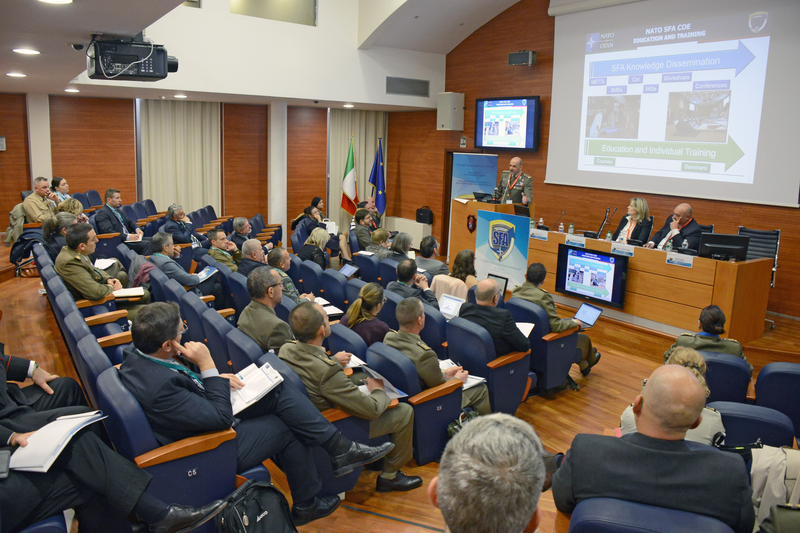 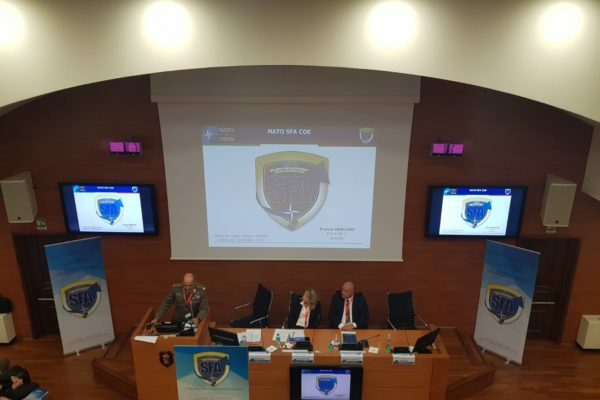 On the 6th and 7th of December, the 1st Workshop on the Strategic Advisor took place at the Center for Higher Defence Studies (CASD), organised entirely by the NATO Security Force Assistance Centre of Excellence (NATO SFA COE). 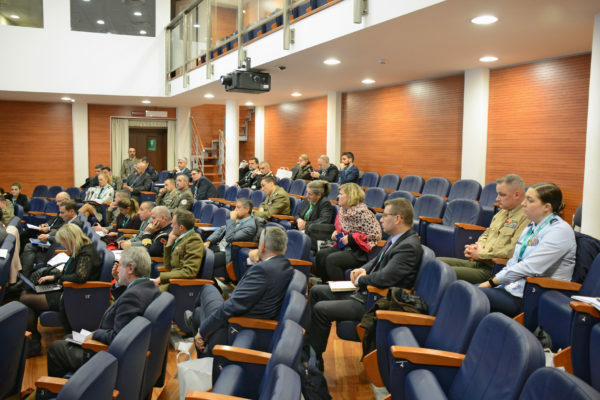 The aim of the Workshop was to analyse from different points of view the challenges and opportunities in the conduct of Security Force Assistance activities and to create a forum of discussion on the evolution of the Concept of Stabilisation from the 2010 Lisbon Summit to date, thus giving rise, for the first time, to a community of interest in this area. The analysis of previous experiences has shown many blind spots and it emerged that many Security Force Assistance activities have been “contaminated” by the lack of training of Advisors, thus lacking a multidisciplinary, strategic, more effective approach with shared objectives and specific requirements for selection, training, education and employment. For these reasons the NATO SFA COE decided to organise this Workshop, based on a comprehensive multidisciplinary, interinstitutional and non-military approach, also thanks to the participation of experienced speakers in the field of Advising from civilian and military organizations and representatives of the armed forces; The ultimate goal was to share the experiences gained by lessons learned, efforts, successes, contributions of thoughts and to face new strategies that in the future will “professionalise” the Advisors in all the areas and be accessible to all the international community. 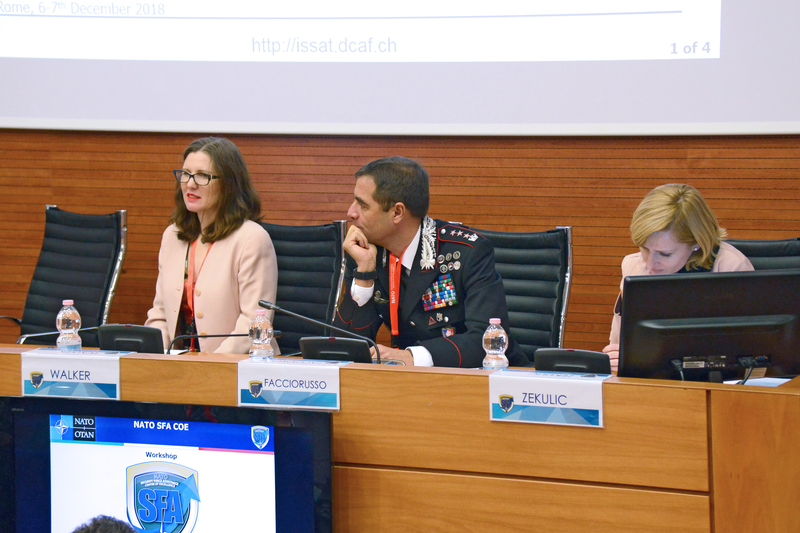 The value of the Advisor’s role with its implications, responsibilities and limitations in Security Force Assistance operations. 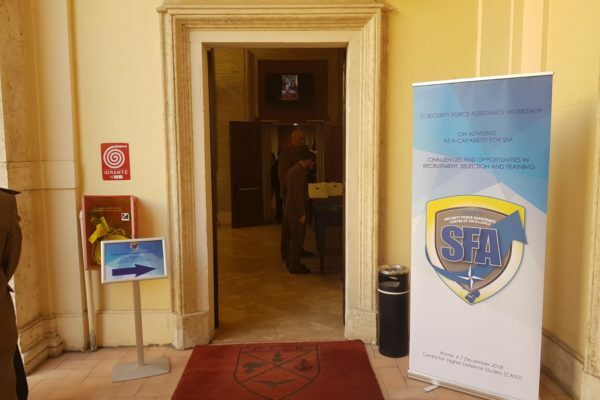 The relevance of the Advisor’s training, seen as a fundamental tool in the processes of Capacity Building and its necessary integration and interoperability with all other institutional and governmental figures of a country with particular reference to SFA operations within the Security Sector Reform (SSR). 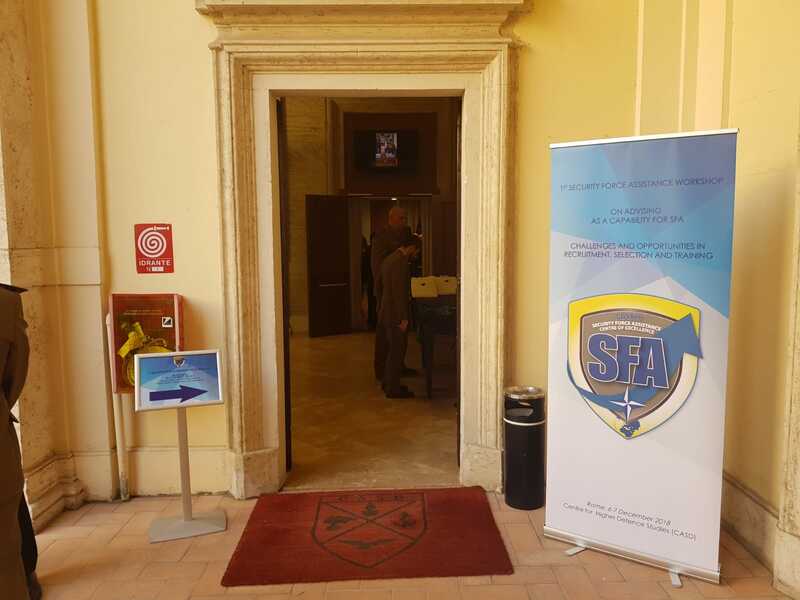 The importance of adequately planning the Advisor’s SFA activities, using as a fundamental requirement the respect for the host nation’s values through integration, cooperation and to not overwhelm it through a process of gradual absorption of skills, knowledge and tools to be used. Lessons Identified and Lessons Learned from the US agency of the Special Inspector General for Afghanistan Reconstruction (SIGAR) deriving from the US engagement in the Afghan operative theatre. 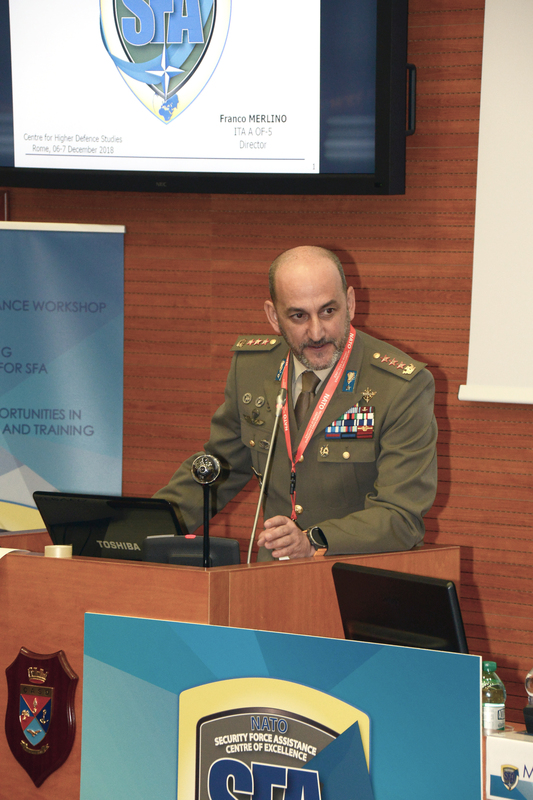 The evolution of the S. Ministry of Defense Program for the development of the Advisor, with particular emphasis on the adaptations that the program, that has remained stable in its foundations, has undertaken over the years. 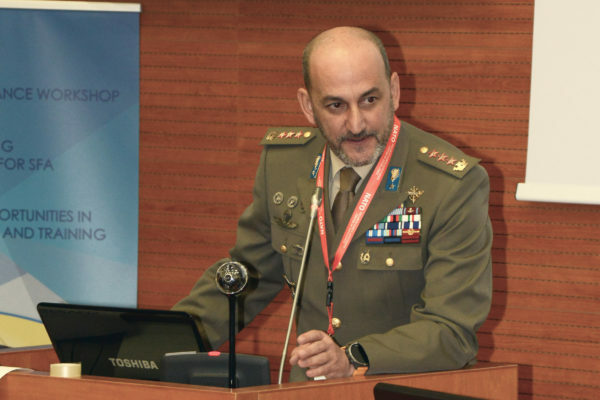 The figure of the Advisor before, during and after a conflict with particular reference to the Afghan and Iraqi operational theatres. 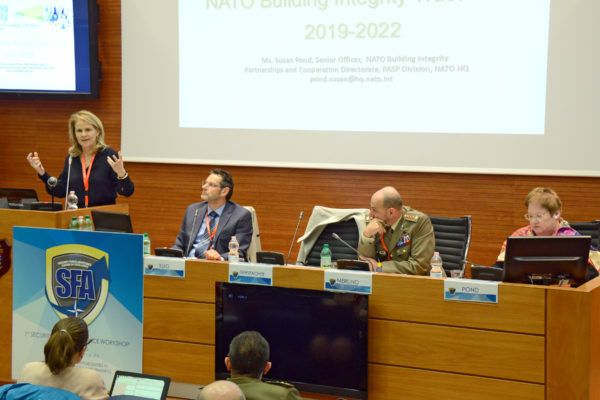 NATO’s perspective in the development of the training process for civil consultants and specialists and the challenge of developing common directives, regarding the requirements necessary for their training in order to better perform their role within NATO. The Workshop ended with a roundtable discussion with all the participants, in order to refine and finalize all the notions and ideas gathered during the activity on each specific subject.